People say real estate activity in Dubai slows down during the Holy month of Ramadan, but activity in the market has so far proven otherwise. Dubai’s hospitality sector is gaining strength by the day and such is its potential that two noted developers have joined hands to launch a new hotel project. Starwood Hotels & Resorts Worldwide and Majid Al Futtaim have joined hands to open an Aloft hotel directly connected to Middle East’s first integrated shopping, leisure and entertainment destination, City Centre Deira. 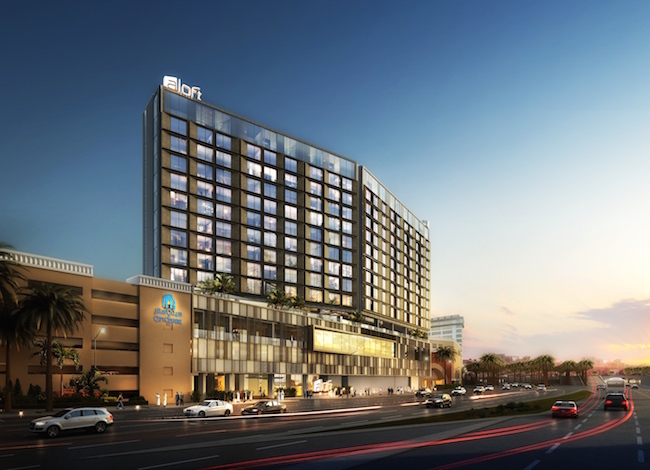 The new hotel is scheduled to open in 2018 and will not only offer quality hotel rooms to tourists, but also bring a vibrant social scene and tech-forward outlook to the emirate’s hospitality. Per project details, the new hotel would offer 304 spacious guest rooms, including 29 suites, with plush platform beds, large walk-in showers and complimentary Bliss amenities, upon completion. An outdoor rooftop VOX Cinema and a cinematic themed floor of rooms and suites will take care for the entertainment needs of the guests and Starwood’s industry-first keyless entry system will enable guests to use smartphones or Apple watches as a room key. The hotel will also feature free high speed Wi-Fi throughout the property. Barlow said the agreement between the two companies would set their hotels apart from the rest in Dubai and fulfil their vision of creating great moments for everyone, every day. With Aloft Dubai City Centre Deira, the total number of hotels operated by Majid Al Futtaim in the country will rise to 11. The agreement between the two companies would also strengthen Starwood’s position across the UAE where it currently operates 26 hotels with 17 additional properties in pipeline.